ANCHORAGE – For decades, Larry Aumiller led small groups of people into the McNeil River State Game Sanctuary to watch as the largest congregation of brown bears in the world feast on salmon in the summer. The former sanctuary manager said he emotionally couldn’t do it any longer after a decision by the Alaska Board of Game increased opportunities to hunt the bears. Aumiller moved to Montana. “To be honest, it was so heartbreaking I just couldn’t be around it,” Aumiller said. If nothing changes, state lands used by the bears near the 114,400-acre sanctuary in southwest Alaska will be open to hunting as of July 1, clearing the way for a fall hunt. Opponents say it’s not sporting to hunt the McNeil River bears, which are accustomed to humans and routinely come to within 10 or 15 feet of small groups of bear viewers allowed into the sanctuary each summer. Supporters say the bears are fair game when they wander outside the sanctuary. The game board, which is appointed by the governor to regulate hunting in Alaska, voted to open the state lands to brown bear hunting at the request of hunters. McNeil, created by the state 40 years ago, is arguably the best place in the world to view brown bears. That’s because two things make McNeil exceptional; how close the bears will safely come to humans and how many there are at the sanctuary. 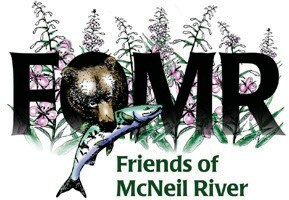 As many as 144 individual bears have been observed at McNeil River with as many as 72 bears observed at one time at the falls, according to the Alaska Department of Fish and Game, a state agency separate from the game board. However, numbers have declined significantly since 1998, with 78 individual bears spotted at McNeil River in 2004 and 87 in 2005 well below the average of 104 going back to 1983. The Department of Fish and Game says numbers now are dipping below the threshold where quality bear viewing may be affected. Critics say if hunting increases it is just a matter of time before one of the recognizable bears the ones that have been named by staff members over the years is killed. There’s Teddy. She is so tolerant of humans she will nurse her cubs just 10 feet from the sanctuary’s viewing platform next to the falls. The seven-member game board is being asked to consider 10 proposals to either reverse its decision or reduce hunting pressure on the bears when they wander outside the sanctuary 250 miles southwest of Anchorage. The board is expected to take up the proposals in March. Game Board Chairman Ron Somerville can’t speak for other board members, but offered some of his views on the sanctuary bears. While he can understand people getting emotional over the issue, the sanctuary was created to protect bear viewing, not individual bears, he said. “It was never designed to protect the bears wherever they wandered,” said Somerville, a retired wildlife biologist and administrator with the Department of Fish and Game. Besides, the state constitution requires that game be managed for the maximum benefit of Alaskans, he said. If the McNeil River sanctuary bears were allowed to undermine that, it would be inexcusable, he said. The sanctuary was created four decades ago to protect bear viewing at the falls. In 1993, the McNeil River State Game Refuge was established to the north, providing the bears with another buffer of protection. To the south is Katmai National Park, where no hunting is allowed. According to the Department of Fish and Game, the McNeil River bears range throughout the region, using both the Katmai National Preserve to the west and areas north of the sanctuary, both of which allow hunting. Brown bear harvests in the area have been well above average since 1998. From July 2002-June 2004, 111 bears were killed, about twice the two-year harvest average since the sanctuary was created, according to Fish and Game. Alaska has an estimated 35,000-45,000 brown bears. The Alaska Professional Hunters Association Inc. proposes keeping the 95,000 acres of state land closed because of the bad publicity that could result by opening them, said executive director Bobby Fithian. As it is, the sanctuary bears get great publicity worldwide, he said. “From our point of view, the allocation or opportunity to harvest a minimum number of bears is not worth the negative feedback,” Fithian said. Another proposal by bear viewing guide Dave Bachrach in Homer would keep the state lands closed and restrict the game board from considering reopening them for at least 10 years. “Alaska has plenty of places where brown bears can be hunted without involving lands surrounding the McNeil River State Game Sanctuary,” his proposal says. Bachrach said when he flies he can see bear trails leading from the sanctuary to the state land along the coast. It is where some of the bears den for the winter. “Those bears are world famous. Their numbers appear to be in decline,” Bachrach said. “Until they know why, how can we open the back door and allow hunters in to kill some more?”. Rod Arno, executive director of the Alaska Outdoor Council, said his group favors the board’s decision to open the lands to brown bear hunting. “As long as these are state lands and a harvest of surplus of brown bears in the area, the Alaska Outdoor Council would support a regulated harvest of brown bears,” he said. But Arno said there is more to it than that. There are other reasons besides increased hunting for why there are fewer bears at McNeil. The bears are going to two other nearby creeks where there are more salmon and more bears have moved into the preserve, he said. Arno disputes the theory that the McNeil River bears are so used to humans it would be unsporting to hunt them. Once the bears leave the falls and venture outside the sanctuary, they are as wily as other bears, he said. “Having guided there personally, I know that those bears that frequent the McNeil Falls, once they are away from that site they are just as leery as any bear that I have guided,” he said. Two controversial holdover appointees from the Murkowski administration have ignored Gov. Sarah Palin’s advice that they step down. They should listen to her advice. She’s right and they are wrong. University of Alaska Regent Jim Hayes is under federal indictment for theft and money laundering. He is accused of diverting federal grant funds for personal use. The governor told Mr. Hayes she thought he should resign from the Board of Regents, for the good of the university. He declined. And the governor also asked Ron Somerville, controversial chair of the state Game Board, to resign from the board, or at least to step aside as chair. Gov. Palin tried twice to convince Mr. Somerville to resign, according to her press secretary, and twice Mr. Somerville said no. She asked him to step down as chair. He said no. Mr. Somerville last October had the extremely poor judgment to make hurtful and insensitive comments about Natives and beer while chairing a board meeting. He later said he didn’t mean to offend anyone, and was merely trying to break the tension at the meeting. Mr. Somerville’s comments showed he lacks the judgment to serve on or chair the Game Board. Mr. Hayes’ 92-count indictment shows he lacks the judgment and the public’s confidence to serve on the university Board of Regents. The governor’s advice that they step down shows she has better judgment than both of them. Too bad they declined. BOTTOM LINE: We hope the governor perseveres.